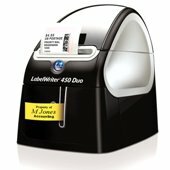 Get organized and get mail out the door in no time with Dymo LabelWriter. 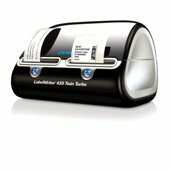 Dymo LabelWriter is not just the fastest PC-and-Mac compatible label printer in its class, it makes printing labels easy. 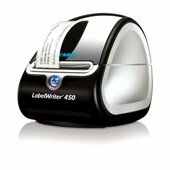 Print high-resolution labels for envelopes, packages, files folders, name badges and more – directly from Microsoft Word, WordPerfect, Outlook, QuickBooks, ACT! and other popular software. You’ll get-to-business in no time.